Last week, we had a nice surprise when welcoming a young couple from California, carrying a beautiful photo album prepared by someone very dear to our hearts, Camille Duclot. 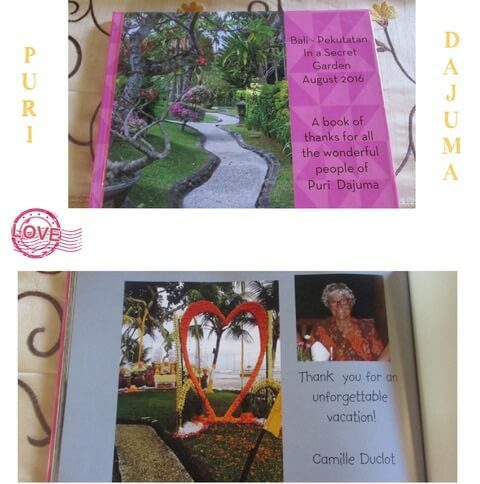 Excellent photographer, Camille made several trips to Dajuma and knotted with our staff relations of friendship that endure over time. Her kindness and joie de vivre is reflected in each page of this wonderful album. A million thanks Camille! When will you come back to see us?